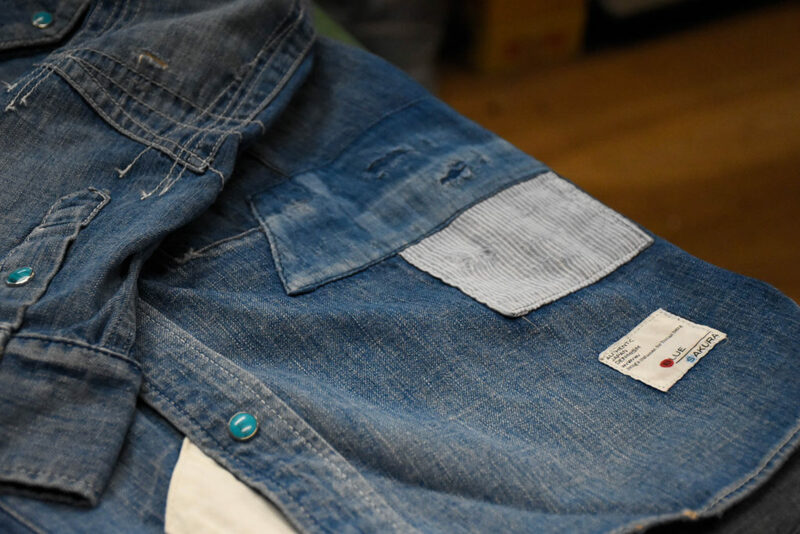 Made with carefully selected 8 oz denim. 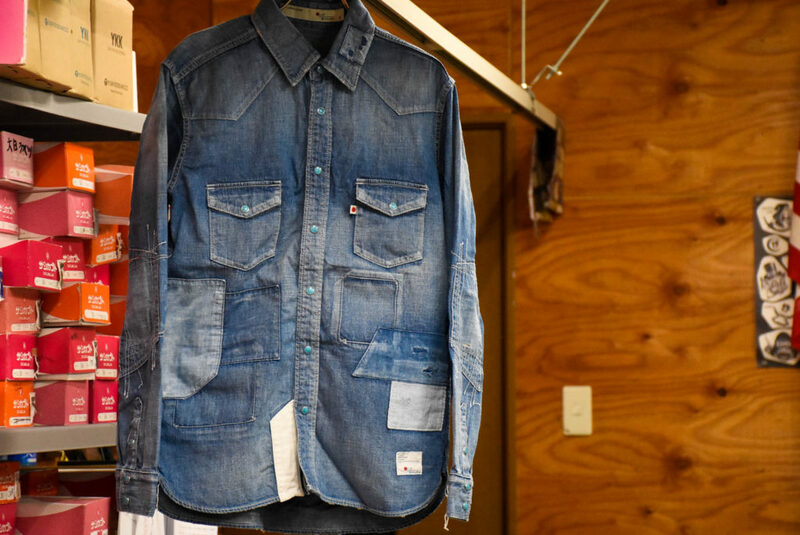 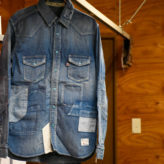 Unique patchwork design that is a combination of five kinds of fabric such as denim, chambray, dungaree, double gauze & sheeting. 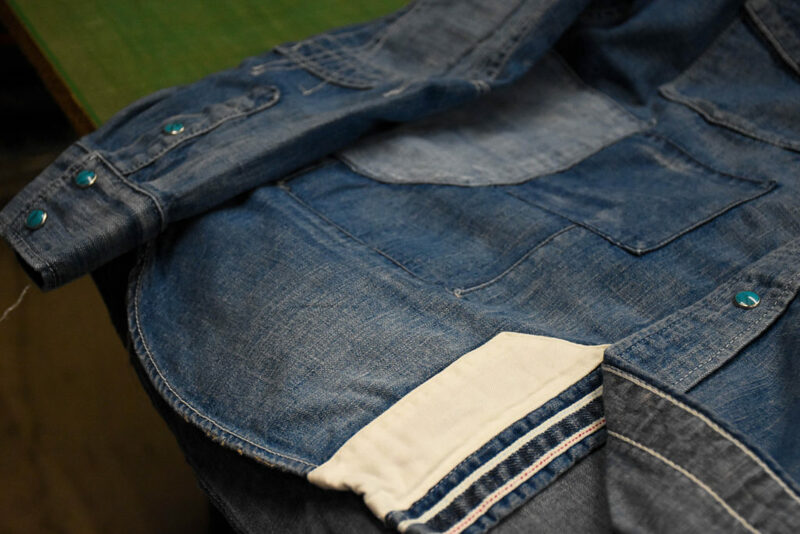 Finished with vintage & clean blue wash processing that this factory is good at & well known for. 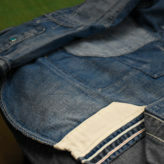 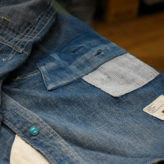 Craftsmen carefully finished patch works, random stitch on elbow patch etc.